Supervisors instructed staff to falsify patient wait times at Veterans Affairs medical facilities in at least seven states to show they met performance measures, USA Today said on Thursday, citing reports by the agency's inspector general. The U.S. Department of Veterans Affairs (VA or DVA) is a government-run military veteran benefit system with Cabinet-level status. VA employs nearly 345,000 people at hundreds of Veterans Affairs medical facilities, clinics, and benefits offices and is responsible for administering programs of veterans’ benefits for veterans, their families, and survivors. VA budget request for 2014 was $152.7 billion. An inspector general leads an organization charged with examining the actions of a government agency, military organization, or military contractor as a general auditor of their operations to ensure they are operating in compliance with generally established policies of the government, to audit the effectiveness of security procedures, or to discover the possibility of misconduct, waste, fraud, theft, or certain types of criminal activity by individuals or groups related to the agency’s operation, usually involving some misuse of the organization’s funds or credit. In the United States, there are numerous offices of inspector general at the federal, state, and local levels. (from reports by Reuters and USA Today) – Supervisors instructed staff to falsify patient wait times at Veterans Affairs (VA) medical facilities in at least seven states to show they met performance measures, USA Today said on Thursday, citing reports by the agency’s inspector general. “The reports detail for the first time since the Phoenix VA wait-time scandal in 2014 how widespread scheduling manipulation was throughout the VA,” USA Today said. It said the manipulations gave the false impression that wait times at facilities in Arkansas, California, Delaware, Illinois, New York, Texas and Vermont met agency targets. Investigations launched by the inspector general into more than 100 facilities after the Phoenix scandal found that manipulations had been going on in some cases for as long as a decade, USA Today said. Asked by Reuters to comment on the report, the agency referred to a statement it had issued in February which said the inspector general had substantiated intentional misuse of scheduling systems in 18 reports. Twenty-nine employees were disciplined as a result, the statement added. USA Today said according to agency data, more than 480,000 veterans were waiting more than 30 days for an appointment as of March 15. 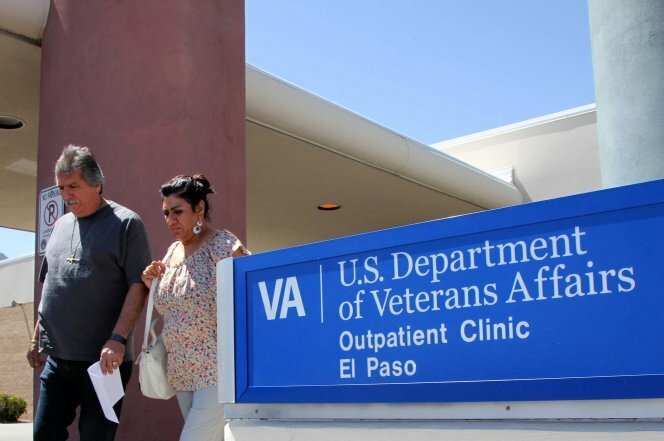 “VA whistle-blowers say schedulers still are manipulating wait times,” it added. [Shea Wilkes, co-director of a group of more than 40 whistle-blowers from Veterans Affairs (VA) medical facilities in more than a dozen states, said the group continues to hear about it from employees across the country who are scared to come forward. “Until the VA decides it truly wants to change its corrupt and poor culture, those who work on the front lines and possess the true knowledge relating to the VA’s continued data manipulation will remain quiet and in hiding because of fear of workplace harassment and retaliation,” said Wilkes, a social worker at the VA Medical Center in Shreveport, La. When the inspector general found in 2005 that VA schedulers were improperly booking appointments — and wait lists were therefore underestimated by as many as 10,000 veterans — the agency initiated a “national education plan” to retrain schedulers and supervisors. In 2010, VA officials discovered schedulers were using “gaming strategies” to falsify wait times to meet agency performance targets, and they required all schedulers to undergo new training, once again. 2. When did the scandal with VA wait-times for veterans’ medical care come to light? 3. a) Define manipulation as used in the article. b) How did manipulation by schedulers affect how wait times were viewed? 4. a) What is the FOIA? b) The revelation about ongoing fraud at many VA medical facilities was only revealed after an FOIA request from USA Today. How long ago were half of the inspector general’s 70 investigations completed? 5. a) What is the role of the inspector general? b) What did the investigations launched by the inspector general into more than 100 VA facilities discover? 6. This latest VA fraud came to light two years ago. a) Congress approves budgets for all departments of the federal government, including Veterans Affairs. What responsibility do you think Congress had between then and now ensure this fraud against our military veterans was completely fixed? Explain your answer. b) The Secretary of Veterans Affairs is the head of the U.S. Department of Veterans Affairs. The Secretary is a member of the President’s Cabinet. What responsibility do you think President Obama had to ensure this fraud against our military veterans was eliminated? Explain your answer. In the newly released reports, investigators found schedulers were using the same strategies. Most commonly, schedulers would start the wait clock on the day of the appointment they were booking rather than when the veteran wanted to be seen. The system then showed there was no wait time even if the veteran had to wait weeks or months for an appointment. The agency said it has retrained thousands of schedulers and is updating software to make it easier for them to book appointments properly. A pilot program at 10 facilities allows veterans to book their own appointments, and the VA expects to roll that out nationwide, according to David Shulkin, a physician who took over as undersecretary for health at the VA in June. Shulkin told USA TODAY he also initiated two massive, same-day efforts to try to provide care sooner for more than 100,000 veterans, and he said the agency also has increased capacity to get wait times down. “We’ve expanded appointments, we have added evening hours and weekend hours, we’ve added 3 million square feet of space, we’ve hired 14,000 new providers,” he said. But VA whistle-blowers say schedulers still are manipulating wait times. a) How/who/in what way do you think the VA should be required to prove that they have completely ended the fraud at VA medical facilities? (direct reports/accounting to President Obama, to Congress, in press conferences with the media, open access to all records to independent investigators…?) Explain your answer. b) Which presidential candidate do you think would be able to clean up the fraud at the VA (and other federal agencies)? Explain your answer. At the end of April 2014, the nation was shocked by charges that more than 1,400 vets lingered and 40 died on a secret waiting list at the Phoenix, Ariz., Veterans Administration medical center. The list was concocted to conceal long waits for care. But what you haven’t heard is even worse: VA hospitals across America are manipulating the official electronic waiting list, and the deadly coverups have been going on for years. The dirty tricks at the Phoenix VA came to light on April 24 when retired VA physician Sam Foote exposed how the hospital evaded legal requirements that patients be seen promptly. But Congress has known since the 1990s about vets at many VA facilities waiting hundreds of days for care and sometimes dying in line. In 1996, Congress passed a law requiring that any vet needing care be seen within 30 days. The General Accountability Office reported in 2000, and again in 2001, that excessive waiting was still a problem. In 2007, and again in 2012, the VA’s own inspector general reported that VA schedulers routinely cheated to hide long waits. The abuse was vividly documented in a March 2013 hearing of the House Committee on Veterans Affairs, more than a year before the Phoenix scandal broke. Debra Draper, the GAO’s director of health care, told Congress that the GAO visited four VA medical sites and found that more than half the schedulers were manipulating the system to conceal how long vets wait to see a doctor. Roscoe Butler, an American Legion investigator, described seeing similar tricks. Asked if the VA could correct the problem, Draper was skeptical. Veterans’ demand for medical care exceeds the VA’s capacity. Again and again, VA bureaucrats have responded to that problem by lying, gaming the electronic-monitoring system and making false promises to the public. All the while, vets suffer needlessly. On Jan. 30, it was disclosed that at least 19 veterans at VA facilities in Columbia South Carolina and Augusta Georgia died in 2010 and 2011 because they had to wait too long for colonoscopies and endoscopies that could’ve diagnosed their cancers while still treatable. The practical answer is to provide vouchers or health plans for vets who need colonoscopies, heart care, diabetes management and other treatment for non-combat-related conditions so they can escape the wait lists and use civilian doctors and hospitals. View the list of results of VA wait-time probes in your state.